Sometimes in the spring things get a little silly on campus. It seems like the warm sun just brings out the kid in all of us. But there was a time when there was a real circus on campus. 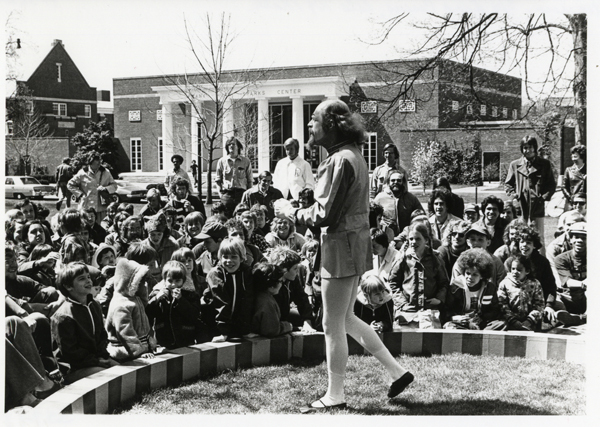 The Royal Lichtenstein Quarter Ring Circus visited Wabash several times in the 70’s, 80’s and 90’s. Here is the best photo of all that I have seen. It really shows the delight of the audience members, young and old. This Bachelor article from April 14, 1978 gives us a little background on this interesting touring group. And clearly they were a hit at Wabash based on the frequency of their return performances. And, whether or not it is officially a circus, on some warm sunny days here on campus, the mall is hopping with life – students and faculty who stop to chat with one another, Sphinx Club members doing air raids and Career Services taking their show to where the students are found. Yes, on a warm spring day it feels a little like the circus has come to town, which means not long now until commencement! In light of it being Earth Day today, I would like to celebrate this holiday by shedding some knowledge about how some students reacted to something called “Low Carbon Day” seven years ago. April 19, 2008: On this day, Wabash students protest against Bon Appetit’s “Low Carbon Day,” an event to recognize the significance of Earth Day which resulted in the removal of products that produce emissions. The average weekday at Sparks Center fed 200 students; that day, they only fed 50. April 22, 1999: Delta Phi, a fraternity that only consisted of 5 members and was unrecognized by the college, voted itself dormant and suspended its operations. Hopefully you all have found these informative bits of Wabash history interesting and informative. Be sure to look at next week’s post to learn something about what is now the 1832 Brew. With this post I would like to introduce you to Graham Redweik [W2016] who will be posting historical bits to the blog feed. His work will be posted under THIS DAY AT WABASH and will feature odds and ends from the historical record. I just gave online – it is super easy. 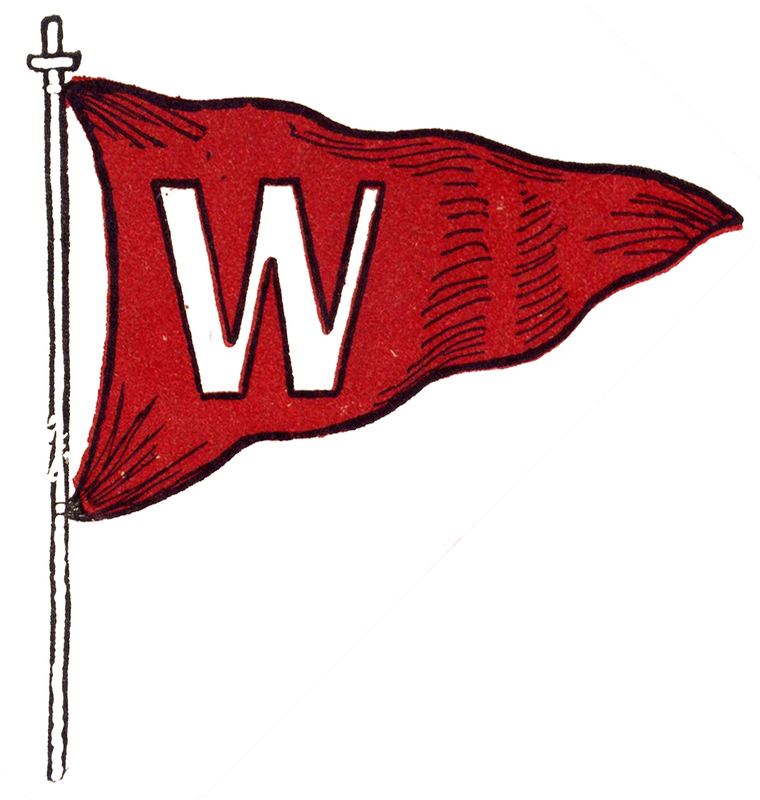 In honor of ALL the women who have served Wabash well throughout her history! A small gift to honor those women who have, for the whole of the history, sacrificed and struggled to make Wabash what she is today! Those who work or have worked here, whether faculty or staff. Our first ladies who never stop working for Wabash. The wives of our alumni and trustees. The wives of faculty members. Lastly, but perhaps most importantly, the mothers of all of the Wabash men in history. 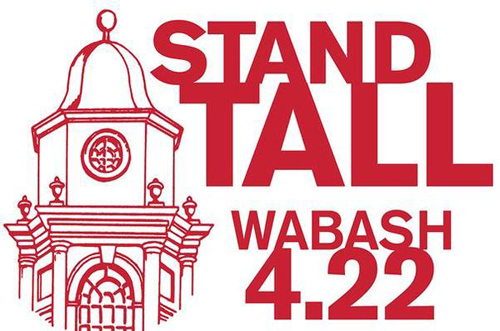 Your good work, many sacrifices and love for this unusual place are a key part of the strength of Wabash.